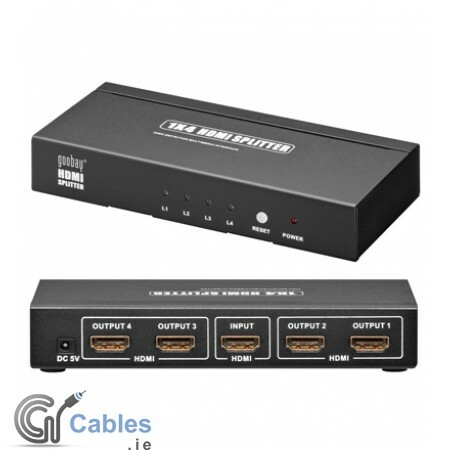 Transmit 1 HDMI signal to 4 LCD/Plasma TV´s. This HDMI switch takes a signal from one source, e.g. DVD, gaming console or SAT-receiver and displays it to max. 4 HD devices at the same time. The HDMI splitter has a compact design in a high quality housing. 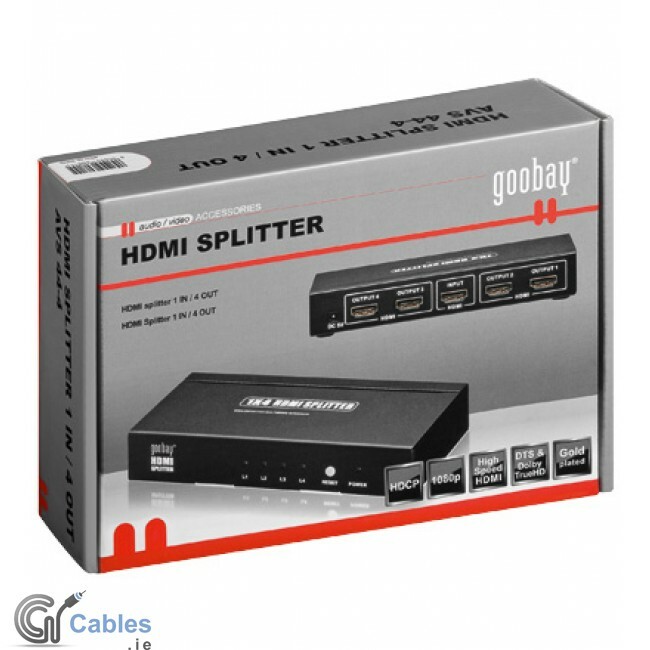 The splitter guaranties the same quality for images and sound at all connected HDMI displays.